Voted Readers Choice "Best Massage Therapist Sugar Land 2007" by "The Sun" Newspaper and "Best of 2016 Fort Bend Star Readers Choice Finalist," Karen Koonce has been Licensed and practicing massage therapy in Texas for over 20 years. Karen Koonce-Salyers, License MT#009454 uses a combination of therapeutic massage techniques to help bring healing and restoration back into the soft tissue and muscle fibers. This is done by applying myo-facsia, neuromuscular and deep tissue and stretching techniques. Now, Karen is practicing and serving in the Sugar Land / First Colony area in Texas. The greatest joy that Karen receives from her work is when she has helped someone out of pain, increased their range of motion and improved their quality of life. Massage therapy is the gift that keeps on giving; helping others move more freely to better serve the people in their life. Massage therapy is very beneficial for athletes, prenatal, soft tissue injuries, overuse, postural issues, fibromyalgia, tendonitis and stress management. 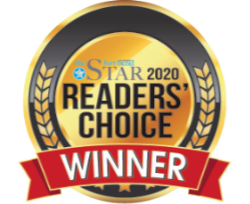 Voted Readers Choice "Sugar Land Massage Therapist" 2007 by "The Sun" Newspaper. Please call to have your initial consultation and to schedule your appointment 713-240-6510. Copyright Â© 2008 Karen Koonce. All rights reserved.